As a DC life coach, my #1 personal goal is to live a balanced life. Some clients focus on external things like work, relationships and activities, or “doing.” They pay very little attention to what is going on inside their heart and mind. Some spend so much time being reflecting or “being” that they can miss out on the experience of living. Have you ever tried walking a slack line? This is a low type of tightrope, popular on ropes courses, strung up between two trees. There is usually a second line above, for holding on. Slack lines are pretty wobbly, and you need to use every muscle to stay in balance. Now, imagine losing your balance. You might have to let go of your desired destination and step off the line for a moment. You might fall, but you’ll probably land on your feet. You can dig in and hang on for dear life, but the only way you’ll make it across is to compensate whenever you start to lose your balance. You might lose your balance often, even constantly. But after a little practice, you generally know exactly what you need to do to regain it. Perhaps living that elusive “perfectly balanced” life at all times, in all circumstances is impossible. But getting closer to balance in all of these areas is something we can all strive for. 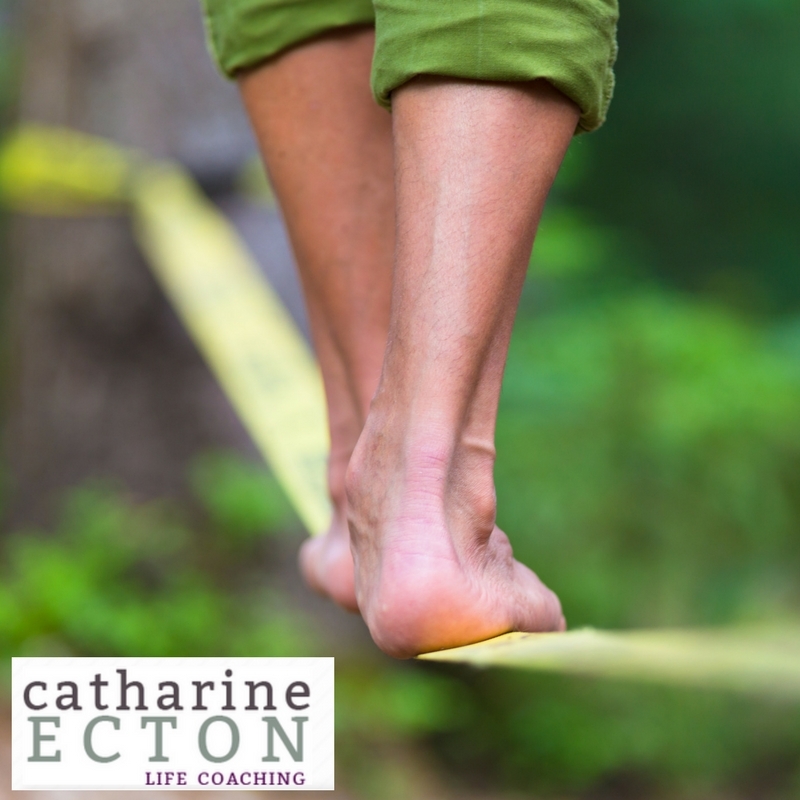 The simple practice of striving for balance can lead to living a more authentic, fulfilled life. Contact me today for a complimentary, no-obligations life coaching consultation and we can work on lighting up your life, giving it more purpose and meaning. Or use the Appointment Scheduler and pick a time that works for you. I coach 90% of my clients over the phone, and my DC-based Life Coaching clients have the option of meeting with me in person. I look forward to hearing from you.